The Paddle steamer De Majesteit was built as Rheinland for the Köln - Düsseldorfer Rhine steam navigation company and foundered in 1945. The steamship was rebuilt and back in service 1951, with a modern profile. The boilers where converted to oil-firing in 1956, and the steamship was rebaptized Rüdesheim in 1965. The steamship was decommissioned after the sailing season 1981 and the ship was used as a landing stage at Köln. The paddle steamer was bought in 1993 by the Dutch family Key. Then the steamship was refurbished and back in service in Rotterdam in June 1999. 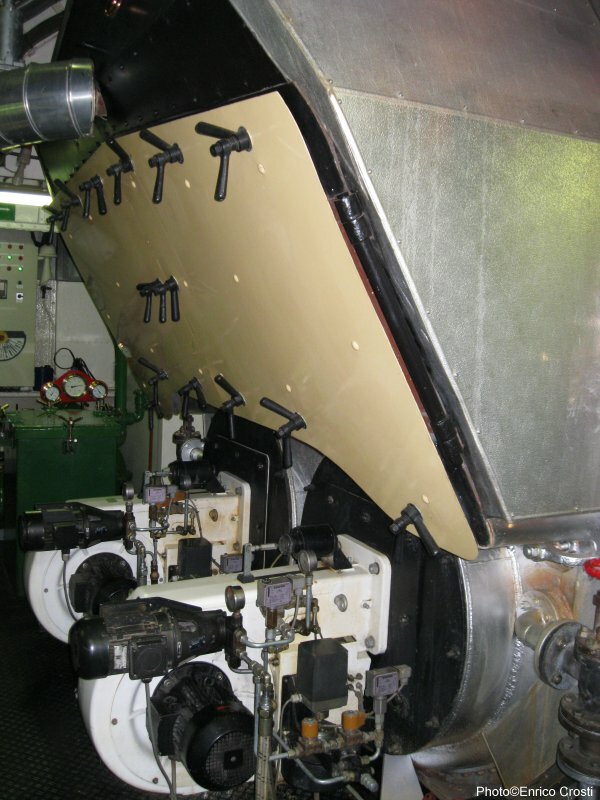 On of the originally two boilers has been removed, to widen the corridors on the main deck. 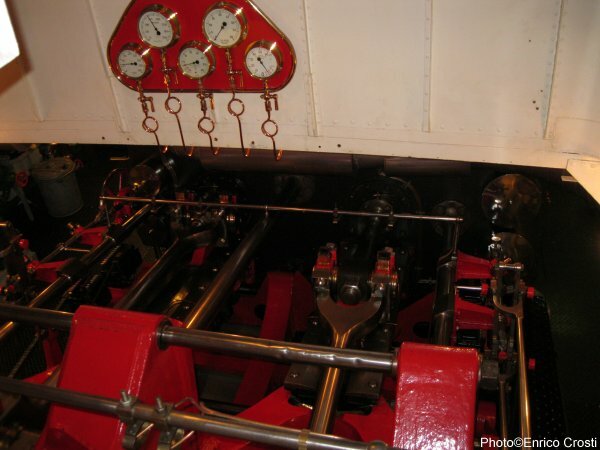 The paddle steamer De Majesteit is now equipped with one totally repaired Scotch marine boiler. 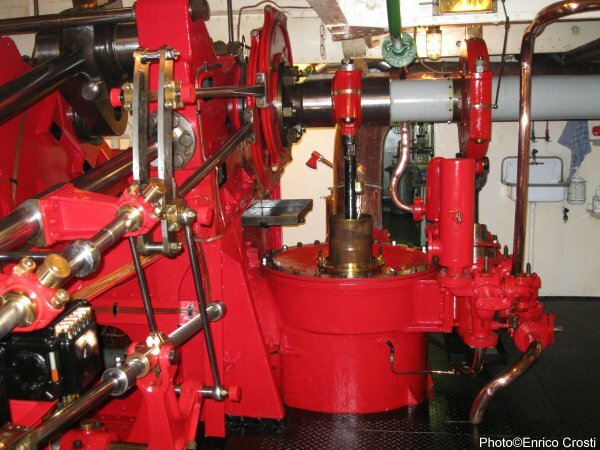 Paddle Steamer De Majesteit engines connecting rods and eccentric rods. Steamship De Majesteit air pump as well as the eccentrics, eccentric rods, quadrant and other links for the Stephenson valve-gear.